Park Avenue Viewpoint has accessible parking and a accessible trail. 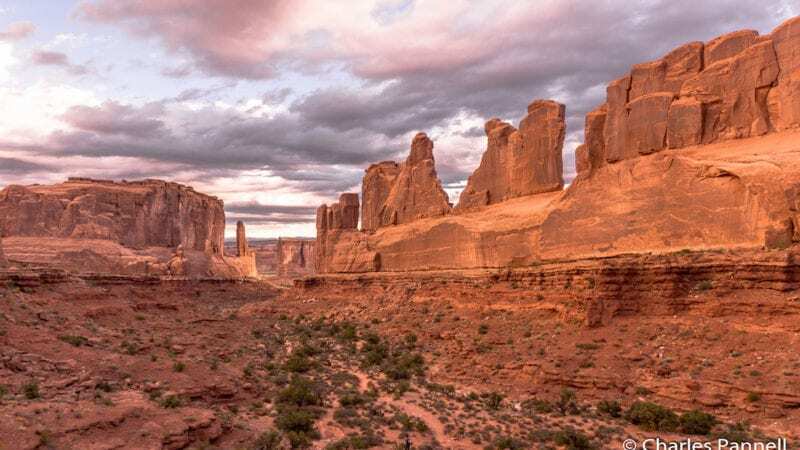 Utah’s Mighty Five are perfect for a week long road trip winding through national parks brimming with crimson-colored canyons, windswept arches and haunting hoodoos. 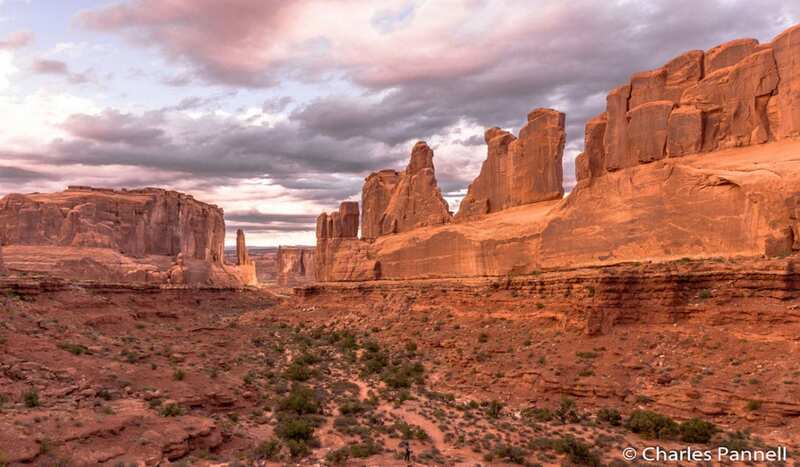 The rugged landscapes of Utah’s national parks are a playground for outdoor enthusiasts of every size, every age and every ability with the help from a new book by Candy B. Harrington. 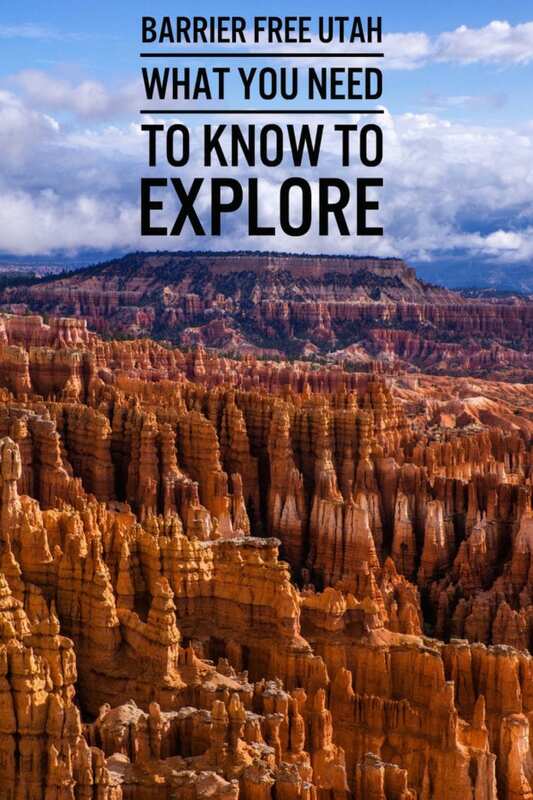 The new book Barrier-Free Travel; Utah’s National Parks for Wheelers and Slow Walkers provides the detailed information that’s necessary to plan a memorable trip through Zion, Bryce Canyon, Capitol Reef, Canyonlands or Arches national parks. Candy B. Harrington, an accessible travel expert, has written eight other travel guides on accessible travel. Wheelchair users, slow walkers, families with strollers or planners of a multigenerational trip with a combination of mobility considerations will benefit from Harrington’s detailed guidebook. 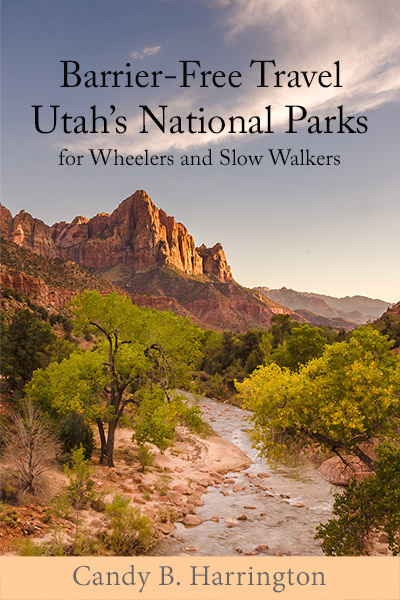 Barrier-Free Travel; Utah’s National Parks for Wheelers and Slow Walkers ($8.95, print or e-book) is organized by national park after a brief introduction covering park admissions and access passes. The National Park Service features an accessibility page for each of their sites that briefly describes the accessible features and facilities of each park. Harrington expands on that information to include the location of ramps, the presence of curb cut-outs and the distance of accessible parking along with accessible lodging and dining information. Barrier-Free Travel; Utah’s National Parks for Wheelers and Slow Walkers opens with Zion National Park and moves east through Utah covering Bryce Canyon National Park, Capitol Reef National Park, Canyonlands National Park and ending with Arches National Park. Each national park listing is divided into sections covering the basics, attractions, lodging, camping and dining, if available. Harrington has included lots of photos and detail-packed captions to help her reader plan and prepare for a memorable experience. Harrington covers getting around each park and seasonal road closures. Park shuttle busses and their accessibility including any weight restrictions and size limitations for mobility devices are discussed. She outlines the scenic tours and their accessibility as well in the basics section. Harrington researches the availability of wheelchair loans in each of the parks for her reader. The popular ranger programs and other available programming in each park is described. Basic camping information is also covered in the basics section. Harrington covers the popular attractions in each of Utah’s national parks, starting with the main visitor center. For Zion National Park, she starts with the Zion Canyon Visitor Center and describes the accessible parking and its location. Harrington continues on through the building describing its accessibility to eliminate surprises for her reader, including the auditorium’s accessibility for the park’s orientation movie. Zion and Bryce Canyon national parks use free shuttle buses from spring until fall. Harrington describes the accessibility for each shuttle stop. She also includes the location of accessible picnic tables as well as the presence of accessible restrooms for each shuttle stop. Harrington covers accessible trails and other trails that have accessible sections with lots of details to help travelers build a comprehensive itinerary. According to Harrington, one of the best accessible trails in Utah is Zion’s Pa’rus Trail, a 1.8-mile level walkway that follows the Virgin River. It starts at the Zion Canyon Visitor Center and continues to Canyon Junction. Zion and Bryce Canyon national parks are the only parks that have lodges. Harrington includes a section on accessible lodging for each. Along with basic information about the location of the lodge and its parking, Harrington covers the lodge’s history. She reports the distance from the accessible rooms to the common areas, like dining rooms and check-in. Harrington includes individual room numbers and the specific details of each room. She uses several photos for each room description and at least two photos for each bathroom. She includes details like the placement of the grab bars for the toilet and the bathtub. The bathing configuration and any additional equipment provided is included. Each of Utah’s national parks offers a few accessible campsites. Harrington describes each individual campsite by site number. She includes the amount of shade and the distance to the accessible restrooms. Harrington adds information like the availability of electricity to recharge wheelchairs. Individual campsite photos are included. The dining options can be limited in national parks. Zion and Bryce Canyon feature dining rooms; Capitol Reef, Canyonlands and Arches national parks do not have food available for purchase in the park. It’s always a good idea to pack picnic supplies and water. In Harrington’s descriptions of the dining rooms, she includes the hours of operation, a sampling of menu items and the availability of reservations. She also covers the cafes and general stores located in the park in the same fashion. Harrington changes her focus to facilities located outside of the park boundaries. She outlines the accessible features of several lodging options ranging from mid-priced chains to independent operators. With her usual care, she describes the lodging’s accessibility through the common areas and the parking conditions. As Harrington did with the lodging located within the parks, she includes several photos of each room. She describes the bed height, the seating and the maneuverability within each room. The bathroom gets the same attention with grab bar placement and bathing configurations. Harrington vetted each of the properties located outside of the parks. 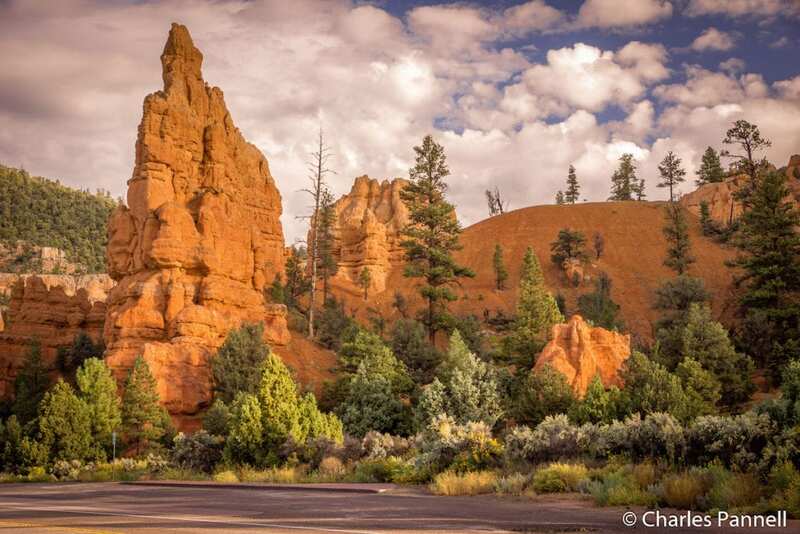 She only included the properties with hospitable management and staff that addressed their guests’ needs for accessibility in Barrier-Free Travel; Utah’s National Parks for Wheelers and Slow Walkers. If you are planning a trip to the national parks of Utah, I highly recommend Candy B. Harrington’s Barrier-Free Travel; Utah’s National Parks for Wheelers and Slow Walkers. It is a well-organized, easy-to-read guidebook packed with the necessary details needed to plan an accessible trip. Known as the guru of accessible travel, Candy B. Harrington has been writing about barrier-free travel for the past 20 years. 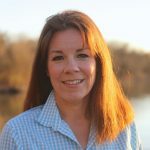 She has written eight other guidebooks including Barrier-Free guidebooks on Olympic and Mount Rainer national parks and Grand Canyon National Park. The best time to visit Utah’s national parks is in the fall when the number of visitors decrease along with the daytime temperatures. Use the shuttle buses located in the national parks. Viewpoints and scenic pullouts usually have amble space to deploy a lift even if striped parking is not available. Previous Post: « A Visit To Grand Rapids’ Frederik Meijer Gardens with Kids – Worth It?